Since 1988, key industry, government, and academic sponsors have provided the hardware, software, training, and support AVTC students need to integrate technologies into competition vehicles. This arrangement has given students access to components and systems that might otherwise be unavailable or too expensive for them to use. The U.S. Department of Energy (DOE), through Argonne National Laboratory, provides overall competition management, team evaluation, and technical and logistical support for EcoCAR, the premier DOE-sponsored student vehicle competition. DOE launched its student vehicle competition program in 1988 to demonstrate and test technologies developed in laboratories. By combining the next generation of technical innovators with emerging advanced transportation technologies, AVTCS helps ensure a sustainable, environmentally responsible transportation future. Through the student vehicle competition program, close to 20,000 students have received hands-on engineering experience and many of them have moved on to take jobs in the automotive industry, bringing with them an understanding of and enthusiasm for advanced vehicle technologies. Argonne is a multidisciplinary science and engineering research center, where world-class researchers work alongside experts from industry, academia and other government laboratories to address vital national challenges in clean energy, environment, technology and national security. Argonne has managed the Advanced Vehicle Technology Competitions program, on behalf of the U.S. Department of Energy, since 1988. 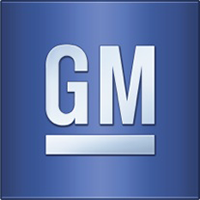 For more than 15 years, General Motors (GM) has joined the U.S. Department of Energy (DOE) to sponsor several successful student engineering competition programs. These have included: Methanol Marathon (1988-1990), Natural Gas Vehicle Challenge (1990-1993), HEV Challenge (1993-1995), FutureCar (1995-1999), Ethanol Vehicle Challenge (1997-1999), FutureTruck (1999-2001), Challenge X (2004-2008), EcoCAR: The NeXt Challenge (2008-2011), EcoCAR 2 (2011-2014), and EcoCAR 3 (2014-2018). Throughout the years, GM has provided stock vehicles, engineering support and testing facilities, seed money, mentorship, and much more to all of the AVTC universities involved. Ford Motor Company constantly develops and refines new technologies that enhance the efficiency of the company’s wide variety of automotive products across all of its global brands. Ford understands the need to continually reduce its impact on the environment and strives to meets this goal while still satisfying the marketplace’s ever-more-challenging safety, comfort, and performance demands. Over the years, Ford sponsored HEV Challenge (1992-1995), FutureCar (1995-1999), and FutureTruck (2002-2005). By providing vehicles as well as facilities, financial assistance, technical assistance, and staffing during the competitions, Ford was committed to helping ensure the success of AVTCs. As a strong proponent of alternative fuels, Chrysler was proud to sponsor AVTCs, including HEV Challenge (1994-1995), Propane Vehicle Challenge (1995-1997), and FutureCar Challenge (1995-1999). Chrysler provided donated vehicles and hosted competitions at their elite facilities, and gained the opportunity to interface with North America’s top students. The Government of Canada has been a longtime supporter of the Advanced Vehicle Technology Competition program, providing technical and program support for more than 25 years. The AVTC program underscores the Government of Canada’s commitment to addressing greenhouse gas reductions and supporting sustainable energy policies and advanced automotive technologies. Support to the AVTC program is provided by Natural Resources Canada and Transport Canada, as well as Energy, Mines, and Resources Canada during the early years of the program. Natural Resources Canada provides knowledge, expertise, and program activities for the sustainable development and use of Canada’s natural resources and to support the global competitiveness of its resource and related sectors. This includes energy activities that encompass policy development, market development programs, and international activities in energy efficiency, renewables, transportation technologies, alternative fuels, and conventional fuels. Transport Canada is responsible for transportation policies and programs. It ensures that air, marine, road, and rail transportation are safe, secure, efficient, and environmentally responsible. Since 1997, the National Science Foundation (NSF) has supported AVTCs. In addition to providing financial support to the program, each year the NSF provides awards to faculty members who have made significant contributions to the goals of the AVTC program and to engineering education. 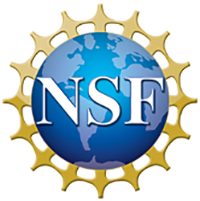 NSF is an independent federal agency that supports fundamental research and education across all fields of science and engineering. NSF funds reach all 50 states through grants and cooperative agreements to nearly 2,000 universities and institutions. California’s state legislature established the Air Resources Board (ARB) in 1967 to protect public health, the economy, and the state’s ecological resources through the reduction of air pollution. Since its formation, the ARB has successfully worked with the public, environmental groups, businesses, and local and federal agencies to cooperatively reach our clean air goals. Throughout the years, the ARB has worked with AVTC programs to provide dynamometer and emissions testing facilities and procedures, including FutureTruck, EcoCAR: The NeXt Challenge, EcoCAR 2: Plugging In to the Future, and EcoCAR 3. 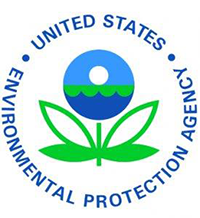 The U.S. Environmental Protection Agency’s (EPA) Office of Transportation and Air Quality’s (OTAQ) mission is to reconcile the transportation sector with the environment by advancing clean fuels and technology, and working to promote more livable communities. OTAQ is responsible for carrying out laws to control air pollution from motor vehicles, engines, and their fuels. The EPA’s National Vehicle and Fuel Emissions Laboratory (NVFEL) is part of OTAQ. Established in 1971 shortly after the creation of EPA, NVFEL is located in Ann Arbor, Michigan. Testing activities include certifying that vehicle and engines meet federal emissions and fuel economy standards, testing vehicles and engines for in-use compliance, and analyzing fuels, fuel additives, and exhaust compounds. Since 1988, the U.S. EPA has provided emissions testing and support for AVTC programs, including Methanol Marathon, Natural Gas Vehicle Challenge, FutureCar, EcoCAR: The NeXt Challenge, and EcoCAR 2. Clean Cities is part of the Vehicle Technologies Program in the U.S. Department of Energy’s Office of Energy Efficiency and Renewable Energy. Clean Cities strives to advance the nation’s energy, environmental, and economic security by supporting local decisions to reduce our dependence on imported petroleum. Since 2010, the Clean Cities program has funded AVTC communication managers through a fellowship. This fellowship presents a great opportunity for students to participate in the AVTC marketing efforts and support their local Clean Cities coalitions. AVL Powertrain Engineering is the world’s largest privately owned and independent company for the development of gasoline, diesel, and alternative fuel powertrain systems, as well as fuel cell and hybrid technologies. For more than 60 years, AVL has been active in the development of engines and powertrains providing low fuel consumption. 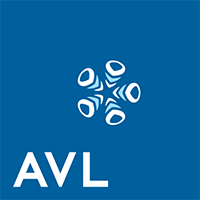 Over the years, AVL has provided AVL DRIVE software and testing capabilities during the competition. By supporting AVTC programs, AVL is proving its commitment to the future of our industry with the ongoing, hands-on education of tomorrow’s engineers and leaders. The MATLAB and Simulink product families are fundamental computational tools at the world’s educational institutions. Adopted by more than 5,000 universities and colleges, MathWorks products accelerate the pace of learning, teaching, and research in engineering and science. MathWorks products also help prepare students for careers in industry, where the tools are widely used for research and development. MathWorks has been a longtime supporter of AVTCs and has provided software and technical support to students since 2001.
dSPACE, Inc. is a market innovator and leading producer of engineering tools for embedded controller development. dSPACE provides integrated systems for prototyping control algorithms, automatic production code generation, controller testing, controller calibration, and engineering support services.. dSPACE’s robust and comprehensive ECU development environment can dramatically reduce development time and costs, while providing increased flexibility for continuous process modifications. Today, more than 20,000 dSPACE systems are in use worldwide, serving customers in the automotive, aerospace, commercial/off-highway, agricultural, educational, engineering, robotics, and noise and vibration industries. dSPACE has sponsored AVTCs since the mid 2000’s as an opportunity to empower student engineers to quickly develop innovative solutions to the challenges of reduced emissions, increased performance, and driver satisfaction. SAE International is a global association committed to being the ultimate knowledge source for the engineering profession. SAE acts on two priorities: encouraging a lifetime of learning for mobility engineering professionals and setting the standards for industry engineering. SAE was a key sponsor in the early years of AVTCs, including Methanol Marathon (1988-1990), Natural Gas Vehicle Challenge (1990-1993), HEV Challenge (1993-1995), and Propane Vehicle Challenge (1995-1997).